Earlier this month, a Fallout 76 update intended to nerf a few weapons and fix more than a few bugs accidentally re-introduced several bugs which had previously been patched, including an item duplication exploit. 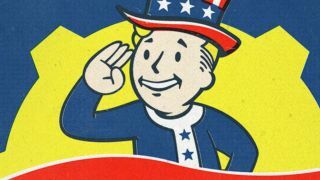 The bug was quickly re-quashed, but the duplicates remained - and that's on top of the items created through other exploits - so today Bethesda took Fallout 76 offline for a few hours in order to purge the duped items. "These actions were highly-focused toward a list of over 400 weapon and armor items we identified as common duplication targets," Bethesda community manager Valseek said in a forum post. "Players who had multiple copies of any of these duped items, whether they obtained them using an exploit or by acquiring them from another player, will find that all but one of each of those items have been removed from their characters. Power Armor was exempt from today’s item removals, but we are actively discussing another wave of action to target these items in the future." Bethesda added that "less than one percent of all Fallout 76 players combined across all three platforms" were in possession of duped items, so while players were understandably frustrated when the item dupe bug was re-introduced, it seems it wasn't too big a deal in the grand scheme of things. Fallout 76 is back online at the time of this writing, and to the majority of players, today's update shouldn't have changed anything. In a blog post published alongside today's dupe clean-up, Bethesda outlined the more substantial Fallout 76 update coming next week. This update will up the stash limit from 600 to 800 pounds, improve player icon visibility, and prevent players from being marked as Wanted when they accidentally shoot another player's camp, among other things. Fallout 76 is getting a major new addition in March: a gloves-off Survival Mode which is all about PvP.